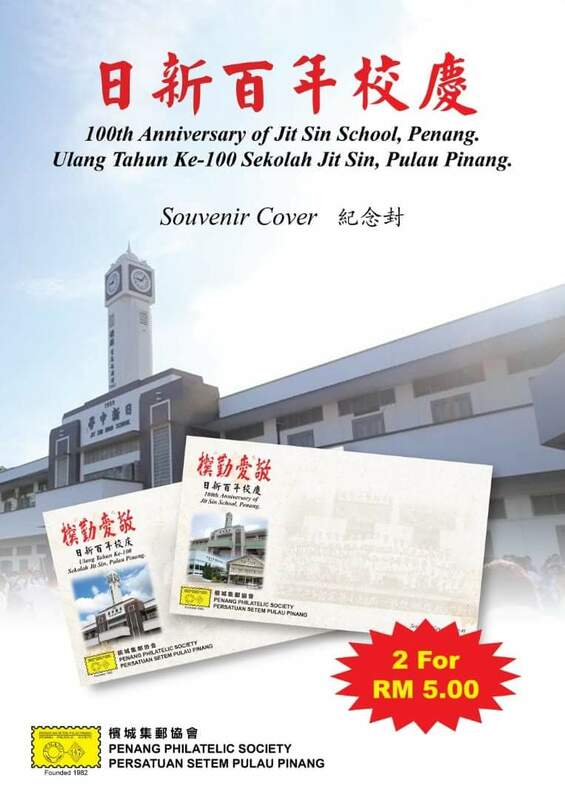 In addition, the Penang Philatelic Society produces a set of 2 private covers at RM 5.00 per set. Here are additional information obtained from the Philatelic Bureau for the Jit Sin stamp issue. At present there is no plans for a Pos Malaysia booth on 25 October 2018. Thus collectors should head on over to the Bukit Mertajam Post Office for the most matching cancellation. It will be pictorial thus the date will be 09 October 2018, the date of issue. However, SODA members are lucky as they will receive the stamps in setenant plus a special school cancellation. 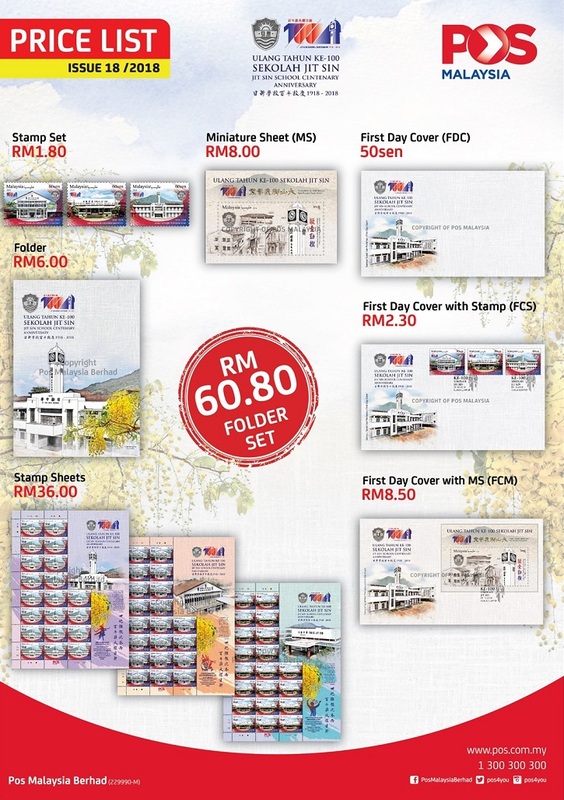 I do know that Pos Malaysia is preparing folder sets for the school. No information is provided. Hi, may I know how you got all these pictures from? Thanks. 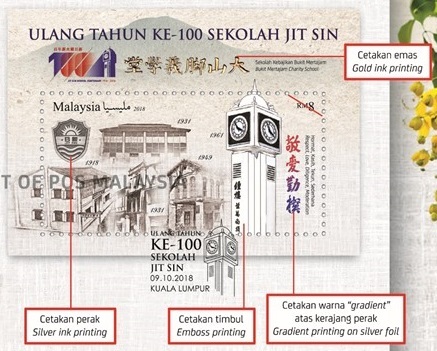 Pos Malaysia has released the pictures to the media and philatelic groups.